You’ve got the notion! 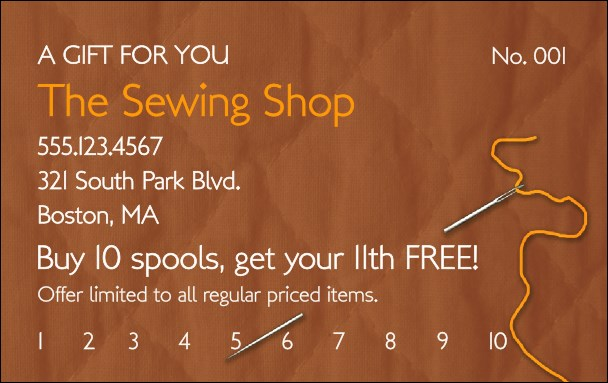 It’s time to raise some revenue for your quilting or craft store! The Quilting and Sewing Gift Card is a perfect fit! Decorated with a thimble and thread and featuring the image of a quilt patch in the background. This gift card is a wonderful way to share your business with others. Gift card size: 2.13" x 3.38"
It’s sew easy to find great promotional goods at TicketPrinting.com!